Did Iran produce its own jet engines ? If yes, proofs ? Did they take the F-5 engines and adapt them into saeghe ? Did they buy from China, Bangladesh ? Vietnam ? Where did Iran's fighters-jet engines come from ? cant u post the photos in smaller size? George1 wrote: cant u post the photos in smaller size? I always had a soft spot for the F-5/F-20. I wonder if Iran would consider upgrading the aircraft the same way the Americans upgraded theirs by replacing the two small engines with a slightly bigger one... and upgraded RD-33 would offer plenty of extra power, with a modern radar and modern missiles like R-77 and R-73 it would be a very capable little cheap fighter... not stealthy but then capable for a range of roles. Change the two 20mm cannon for a single twin barrel 23mm cannon and you would have a very potent light fighter able to carry light accurate guided bombs and missiles in a cheap simple fighter in the 14-15 ton mtow range. So sorry if I did a repeating thread but in my preemptive defense I could not find anything on this in the middle east militaries or Iran specifically threads. So Iran's Air Force inventory is aging there most numerous fighter is over 50 years old and the F-14 does not age well. The MiG-29s are also 30-40 years old. The F-4s could easily be older then both the fighters I listed above. They do have a domestic design that looks like it is semi-based off the F-5s they have but how will that go? Anyway so thoughts will Iran try to buy some Russian or Chinese planes or make the domestic design work? They will have no choice but to make theirs work. If Russia says screw international law, then maybe but only sales they could make are self defence systems and if they pitch it right, maybe.... but in most cases, they will have to build their own. Their first attempt may work out for them. I have always liked Irans ability to make do, and to modify what they have... the twin tailed F-5s leap to mind in that case. I wonder if a collaboration with MiG on a basic air frame of the MiG-29M but fitted with just one engine like the ones being developed for the late model Flankers. Note I suggest MiG-29M instead of MiG-35 as I would expect the Iranians would want local production to ensure the are sanction proof. Prior, Russia was apparently working with HESA (Iran aerospace corporation) on a trainer jet but that ended up falling through due to sanctions. But since Russia is scanctioned too, It would only make sense to allow MiG company to work with Iran. MiG company worked with China in the past on the development of the JF-17 aircraft (and it uses a single RD-93 engine), so it would benefit both sides if MiG worked with HESA on development of an aircraft and license out production to Iran for Zhuk based radars and such. Maybe work on a JV on thermal imaging as well. Both sides can really benefit. According to Israeli military website Debka File, Iran is finalizing a deal with the Chinese government for the purchase of 150 Chengdu J-10 "Vigorous Dragon" fighter jets. That plane comes in both single-seat and two-seat versions, is ideal for both ground assaults and electronic warfare, and is evidently identical to the Lavi fighter designed by Israeli aerospace companies. TEHRAN (Tasnim) – Iranian defense minister on Tuesday said there have been talks with Russia for cooperation on manufacturing fighter jets. Speaking to reporters in Tehran, Brigadier General Hossein Dehqan said Russia has agreed to develop cooperation with Iran in the “joint designing and manufacturing” of aircraft after learning about the Islamic Republic’s capabilities. “In the sphere of (manufacturing) fighter jets, we will not develop such cooperation with any country other than Russia,” he stressed. The minister said Tehran has military ties with 35 countries including China, Iraq, Russia, Oman, India, Pakistan and Belarus, in different fields, such as technical expertise and engineering, maintenance, and the sale of military systems and weapons. He further touched on Iran’s progress in the aviation industry, saying Tehran has plans to sell a range of homegrown Unmanned Aerial Vehicles (UAVs) to international customers. “We have produced diverse drones. In this sphere, we have received offers for the sale of drones and will sell them while taking notice of the intelligence and military issues. We have good customers in the field of defense gear,” added the minister. In recent years, Iran has made great achievements in its defense sector and has attained self-sufficiency in producing essential military equipment and systems. As part of these accomplishments, Iran’s Air Defense has been able to build a big part of its equipment and radar systems by its own experts. Tehran has always assured other nations that its military power poses no threat to the regional countries, saying that the Islamic Republic’s defense doctrine is entirely based on deterrence. If Iran is actually interested to buy Chinese J-10 fighters, than they could as well buy Russian Su-30MK2 fighters and both equip with AL-31FN engines with 127 kN of thrust to make easier and cheaper maintenance. With those engines, Iranian Su-30 will be export Su-30 with the most powerful engines. They could as well equip them with Zhuk-MS radar and with Chinese targeting pods, like those on JH-7A. Su-30MK2 is also a plane, for which Russia could allow to be produced in Iran, at least partially like bodies and wings and the rest will be delivered from Russia. Maybe they could also allow them to produce engines or spare parts for them. Iranian industry is capable to produce them if they get license and blueprints. For sure Iran will buy Yak-130 trainers to train pilots for new generation combat planes. TEHRAN (Tasnim) – Iran started producing the air-launched version of its homegrown cruise missile Nasr (Victory) in the assembly line. Nasr had been originally designed and manufactured as an anti-ship cruise missile, but the country's experts managed to upgrade it to be employed for aerial missions. commentary : Nasr is an AShM with a range of 35 km, it was initially tested in 2008 and entered mass production in 2010, the air launched version of Nasr was unveiled in 2013 and have undergone tests since then, it has now entered mass production. causing significant damage and four fatalities. TEHRAN (FNA)- Tehran and Moscow started talks on the supply of the Russian-made Sukhoi 30 fighter jets to Iran. "Today, we visited different parts of the exhibition and the fighter jets' air show for three and a half hours accompanied by Mr. Putin which was a rare opportunity," Sattari told FNA yesterday. "Putin showed that he is well aware of the military issues, knows the companies and products and spends time to get more familiar with them," he added. Asked if the issue of purchasing Russia's Shkhoi 30 was raised during the visit, Sattari said, "We spoke about it but we didn’t discuss purchasing them and talks were mostly focused on the technological issues." "You should ask issues related to purchasing (Sukhoi 30) from the defense ministry, and other groups like the trade teams should pursue the issue," he added. The Sukhoi Su-30 is a twin-engine, two-seat supermaneuverable fighter aircraft developed by Russia's Sukhoi Aviation Corporation. If this is correct, and VT is sometimes on the button on specific issues, Iran have developed what is in effect a version of the stillborn Northrop F-20, their F-5 upgrade and F-16 competitor. Production unit delivered according to Fars. This is a bit of the report. Photos at the link. Doesn't look a photoshop! The Saeqeh is a joint development effort of the Iranian Ministry of Defense and the Iranian Air Force to produce a budget-minded local multirole aircraft platform equipped with modern avionics systems and possessing the qualities and capabilities of contemporaries from other nations. So the F-20, an evolved F-5 was at least a match for the F-16. Two decades later, the F-16, albeit in evolved form, is still the backbone of the US Air Force and many NATO air forces too; Israel has over 300 F-16s of various variants. The Iranian Saeqeh is an evolved F-5 with modern systems and capabilities. Therefore, it is reasonable to assume that the Saeqeh represents a serious opponent to the current F-16 models just as the F-20 was to the original F-16, despite the dismissive attitude of Western writers. A really thorough article on the history of Iran's F-14s. Recommended. "Iranian experts repaired and overhauled a C-130 military plane used for transporting military forces and equipment. After 10 years since its last flight, the C-130 military plane was overhauled by the maintenance and logistics experts at the Shahid Doran Airbase. The overhauling operations of the plane took 30,000 man/hours of work. 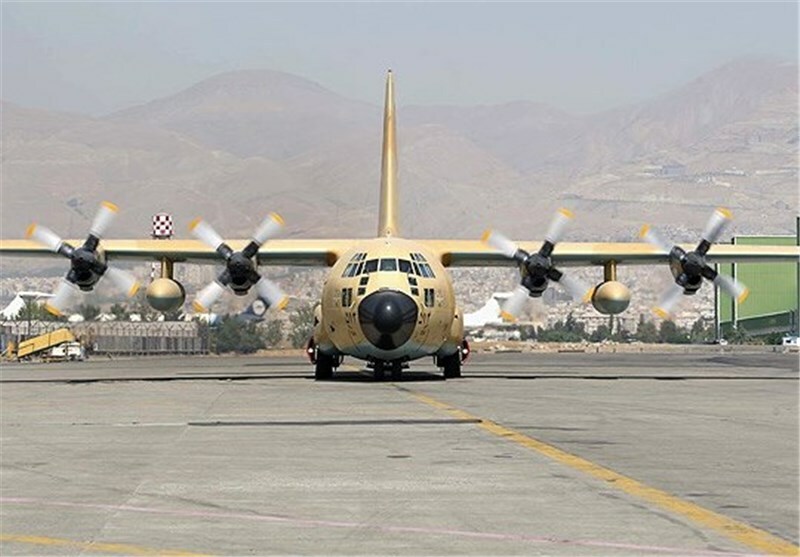 The C-130 plane joined the Iranian Air Force fleet after making its maiden flight. In mid-August, a senior Iranian Air Force commander announced that Iran has attained self-sufficiency in overhauling military aircraft despite the sanctions imposed by the western countries. “Thanks God and thanks to the Iranian Air Force experts and engineers, we have become self-sufficient in airplane overhauling, pilot training and many other fields,” Head of Shahid Sattari Aviation Science and Technology University Brigadier General Mehdi Hadiyan announced. He reiterated that the Air Force is now self-sufficient in all areas while all its planes fly in accordance with the required standards. In recent years, Iran has made great achievements in the defense sector and gained self-sufficiency in manufacturing essential military hardware and defense systems. Yet, Iranian officials have always stressed that the country’s military and arms programs serve defensive purposes and should not be perceived as a threat to any other country. In June, Deputy Chief of Staff of the Iranian Armed Forces for Logistics Major General Mostafa Izadi announced Tehran’s preparedness to overhaul the most advanced jet engines in the world. “I can say that we are able to provide the infrastructures to overhaul the latest version of any engines within 3 to 4 months,” Izadi said in Tehran. He said that Iran Aircraft Industries (SAHA) is among the rare centers in the world which can overhaul and inspect different types of airplanes and engines of military and cargo planes. “We have worked with many countries and have overhauled their planes and we have even overhauled planes in the African continent and South America,” Izadi said. The regional states have also praised the high capabilities of Iranian Navy forces and experts in overhauling and building different types of planes and fighter jets. In October 2014, Russian Air Force Commander Lieutenant General Viktor Bondarev said he was surprised to see the Iranian Air Force’s capabilities in overhauling different types of airplanes. “I witnessed the efforts made by the Iranian technicians in overhauling fighter jets and cargo planes and as an air force expert I was happy and surprised to see such progress,” Bondarev said after visiting Iran’s Shahid Babayee Air Base in Isfahan province. “The Iranian Air Force’s capabilities in building parts and equipment and overhauling different types of planes and helicopters indicate that the international sanctions have not affected the activities of the Force,” he added. 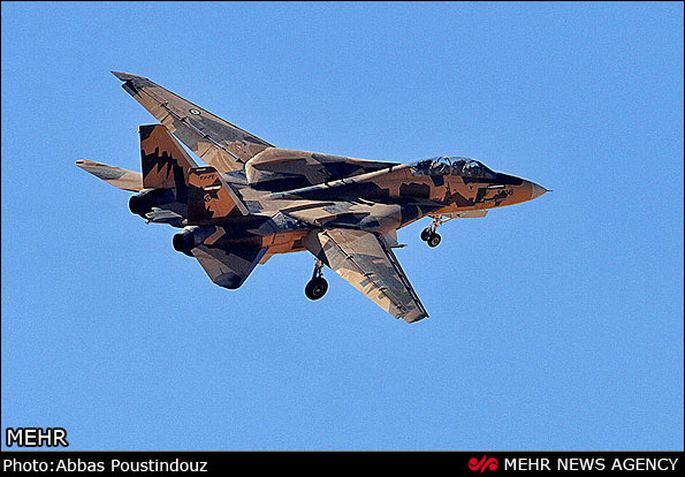 The Iranian Air Force announced in August that the Iranian experts in Shahid Nasser Habibi air base in Northeastern Iran managed to overhaul two mirage F-1 fighter jets. The overhauling operations of the two fighter jets took 45,000 man/hours of work. The two aircraft joined the Iranian Air Force fleet after making their maiden flights. Iran also announced in June that its experts in Shaheed Fakouri air base in Iran’s Northwestern city of Tabriz are overhauling different types of aircraft, including the strategic Mig-29 and F-5 fighter jet. “The (country’s) second air base is in a high state of preparedness by overhauling its Mig-29 and F-5 fighter jets highly effectively and manufacturing different plane parts,” General Massoud Rouzkhosh said. “Considering Iran and the region’s strategic and sensitive geographical situation, the armed forces should always remain in a state of full operational readiness,” the pilot added. In August 2012, a Mig-29 fighter jet of the Iranian Army conducted its test flight successfully after being overhauled by local experts. The aircraft which was down for 12 years could experience its first flight after it was overhauled at Shaheed Fakouri air base, which took 21,000 man/hour of work. The Iranian experts spent 24 months to overhaul the strategic fighter jet and mounted three types of modern electronic systems onto the aircraft in a bid to increase its technical and backup capabilities. The first photographic evidence of an Iranian Air Force plane that brought Iraqi Shiite volunteer fighters in Syria to fight against ISIL terrorists has appeared on the Internet. A picture posted on the Instagram account of the Iranian group Holy Defense shows an Iraqi soldier standing in front of an Iranian C-130 Hercules military transport aircraft supposedly in Syria. "This is probably the first picture of an Iranian Hercules made in Syria and the first documented evidence of the Iranian Air Force being Syria. Flights are have been made from Mehrabad International Airport in Tehran and the city of Tabriz [in the northwest of Iran] since the beginning of the Syrian conflict," a source from Holy Defense told Sputnik. Iranian planes also bring drones that are used for reconnaissance flights above ISIL military bases, the source told Sputnik. Comments underneath the picture reveal that some of the Iraqi fighters came to Syria after the beginning of Russian anti-ISIL airstrikes in Syria. Apart from Iraqi volunteer fighters, the Iranian planes brought with them arms and military equipment, Holy Defense said. IRIAF overhauled an F-14, F-7 and a PC-7 after being grounded for 14, 8 and 7 years respectively. All three are operational now. IRIAF Commander Brigadier-General Hassan Shah-Safi heading an Iranian delegation arrived in Beijing . Brigadier-General Shah-Safi is currently on a visit to Beijing upon invitation of China's Air Force Commander General Ma Xiaotian. The visit amis to prepare the ground for cooperation in different dimensions, training and strengthening bilateral ties. He is scheduled to meet with his Chinese counterpart General Ma Xiaotian on Monday. Brigadier-General Shah-Safi is to visit CATIC Company affiliated to China Aerospace Organization and NRIET an active company in the field of aerial electronic and control center and aerial defense of Beijing during his 4-day stay in China. The Iranian Air Force Commander is to meet with Vice-Chairman of the Central Military Commission General Khoji Liang on Wednesday. On Thursday, Iranian delegation are to travel to cities of Jinan and Xian and visit China Airborne 19 Division and Air Force Engineering Faculty as well as companies such as XAC and FACRI. The delegation will end visit to China on Friday.